Now available during all Sunday games! 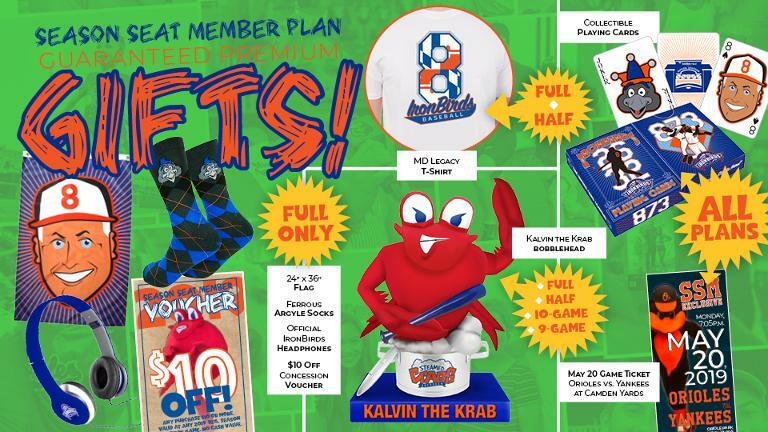 Crab Feasts have returned for the 2019 and they're all you can eat for only $56! 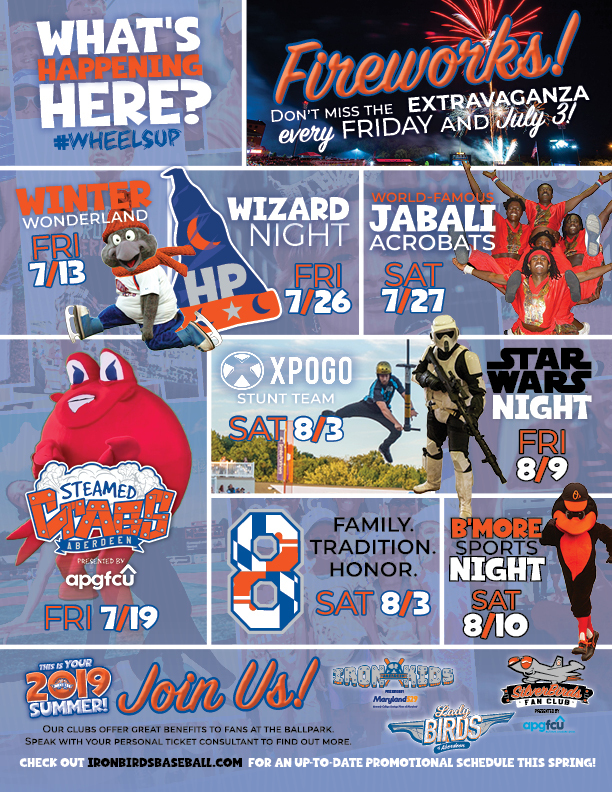 The IronKids Club presented by Maryland 529, The SilverBirds Club presented by APGFCU and the LadyBirds Club all offer exclusive fan experiences you don't want to miss this summer! On Wednesday, July 11th the Aberdeen IronBirds announced their 2-year player development contract extension with the Baltimore Orioles. Birdland will continue to call Aberdeen home through the 2020 season! Leidos and the Aberdeen IronBirds are joining forces to honor our active and veteran service men and women, as well as first responders at every 2019 IronBirds home game.